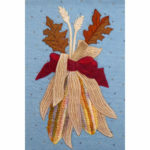 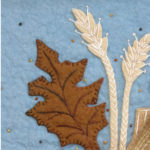 A long time classic symbol of a successful harvest, this 13″ x 19″ wall hanging features colorful ears of Indian corn along with stalks of wheat and the brown oak leaves of autumn. 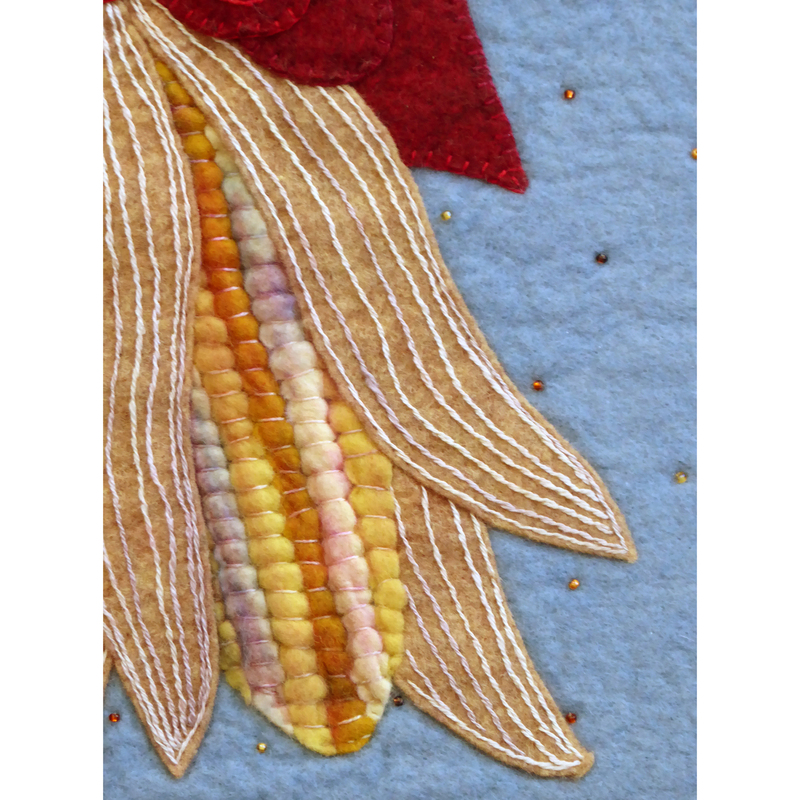 A soft denim blue background and bright red bow provide contrast to show off the fading corn husks and all the colors of the corn. 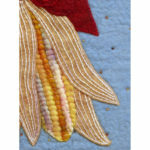 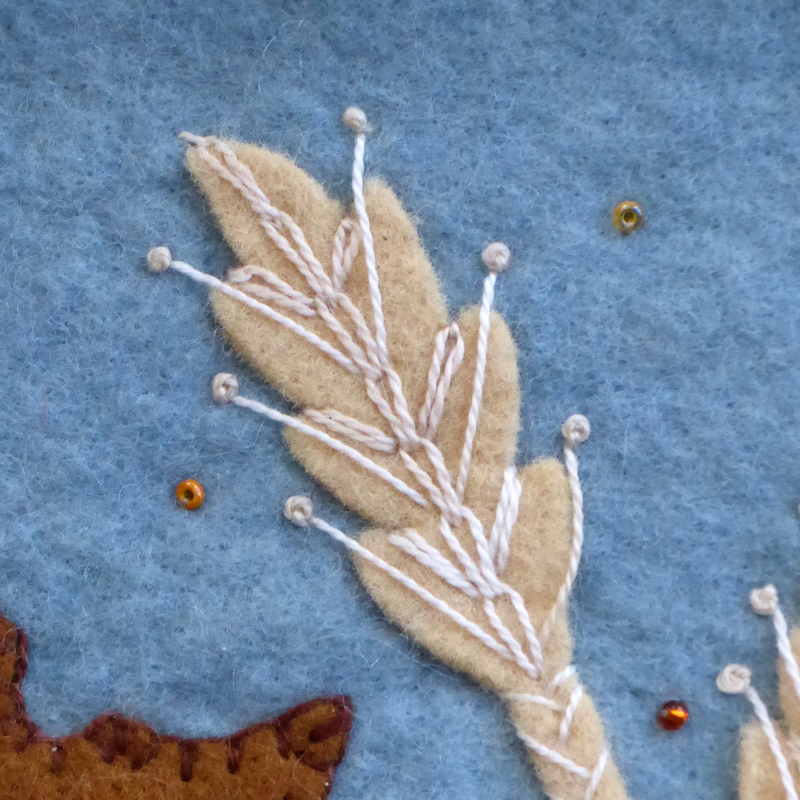 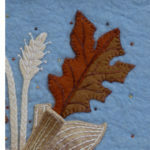 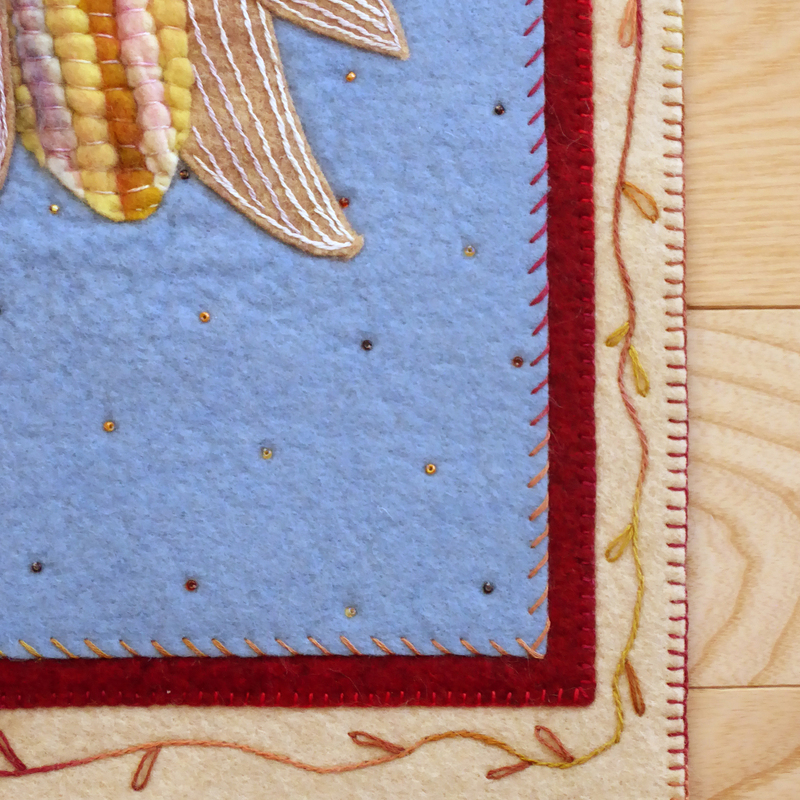 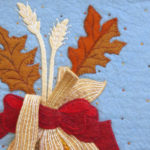 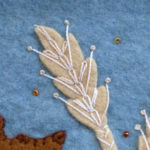 Be prepared to embellish with lots of stitching as well as seed beads (or french knots). 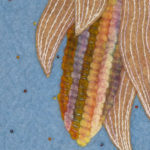 How to get all those colored kernels? 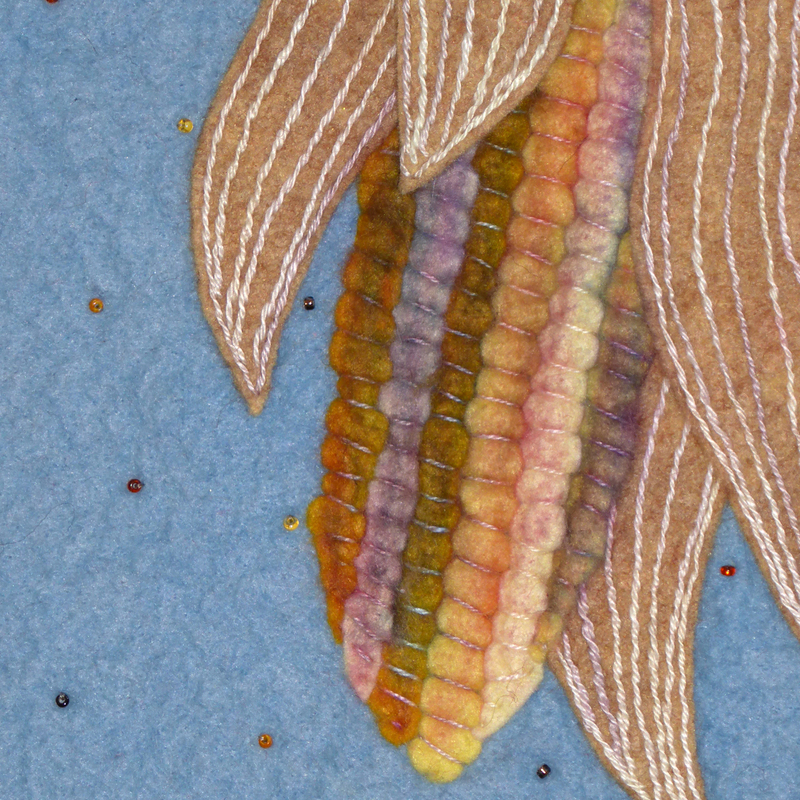 Get out those colored pencils! 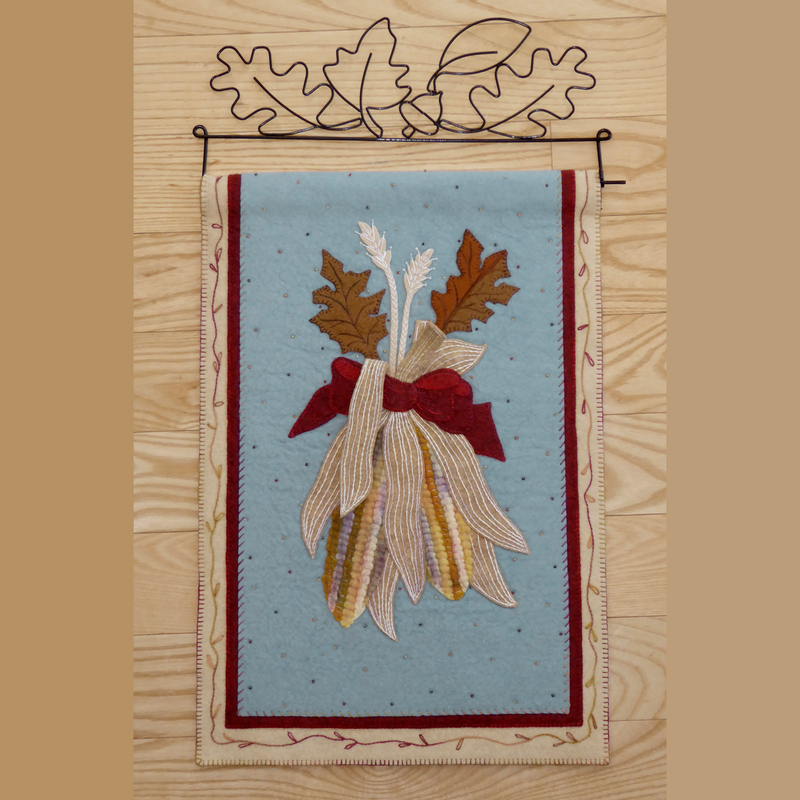 This pattern also includes an option to make a few of the corn husks 3 dimensional, adding considerable interest to the wall hanging. 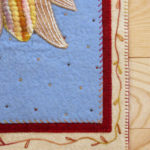 Designed for felted woven wool or wool felt, this pattern is suitable for the enthusiastic advanced beginner or an intermediate level of skill.